These days, it is no secret that e-tailers are in the process of releasing their huge growth potential: customer confidence in online businesses is sky-high, and the willingness to buy is, if possible, even higher. With these factors, however, come rising expectations of professionalism in e-commerce companies. It is well worthwhile giving your e-commerce business a service check to find out if you are prepared in the battle for customer satisfaction. 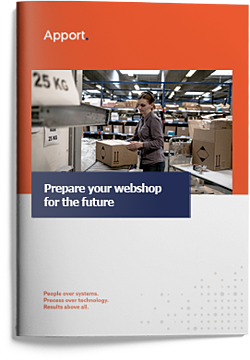 In the following white paper, we look at the trends in e-commerce and how a professional warehouse management system can get your e-commerce business ready for the battle; a battle where it is not just about having the best price, but also about high quality in service and delivery areas. Is your logistics system ready for Gazelle growth?